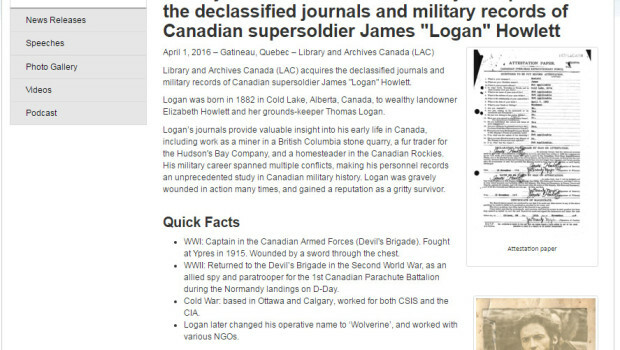 Library and Archives Canada (LAC) acquires the declassified journals and military records of Canadian supersoldier James “Logan” Howlett. 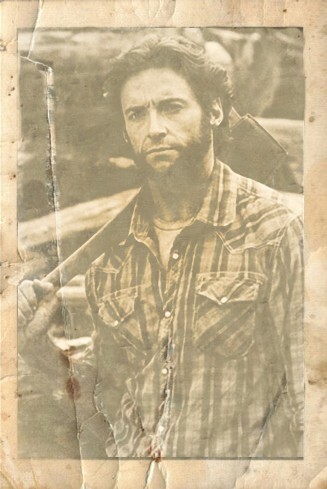 Logan’s journals provide valuable insight into his early life in Canada, including work as a miner in a British Columbia stone quarry, a fur trader for the Hudson’s Bay Company, and a homesteader in the Canadian Rockies. 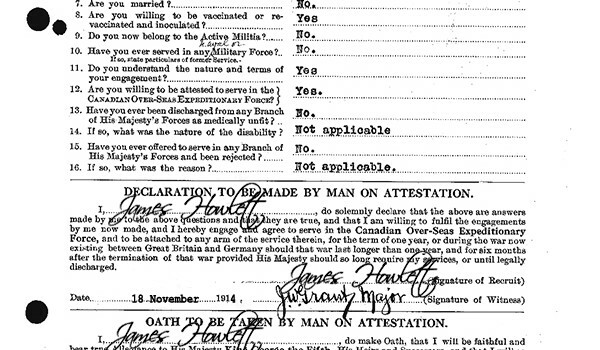 His military career spanned multiple conflicts, making his personnel records an unprecedented study in Canadian military history. 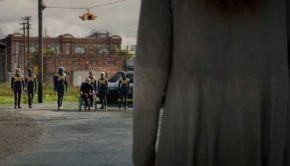 Logan was gravely wounded in action many times, and gained a reputation as a gritty survivor. WWI: Captain in the Canadian Armed Forces (Devil’s Brigade). 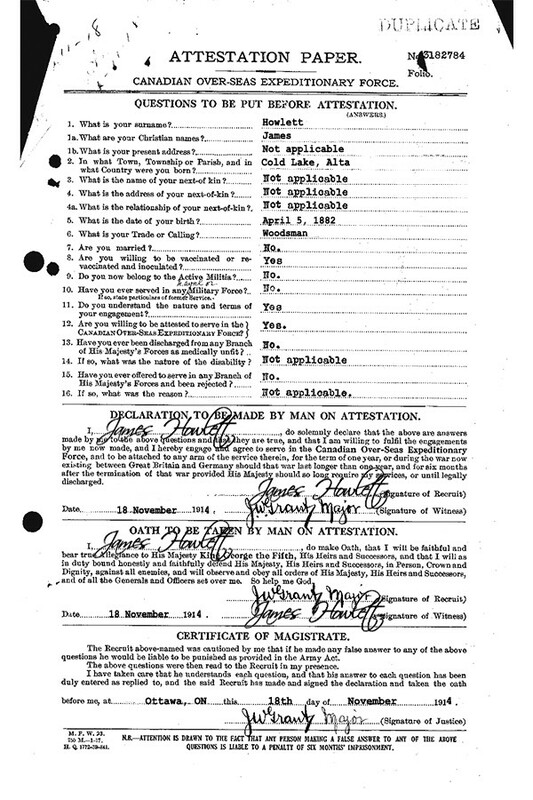 Fought at Ypres in 1915. Wounded by a sword through the chest. WWII: Returned to the Devil’s Brigade in the Second World War, as an allied spy and paratrooper for the 1st Canadian Parachute Battalion during the Normandy landings on D-Day. 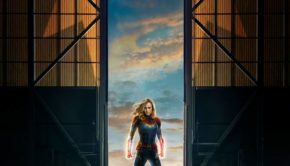 Cold War: based in Ottawa and Calgary, worked for both CSIS and the CIA. 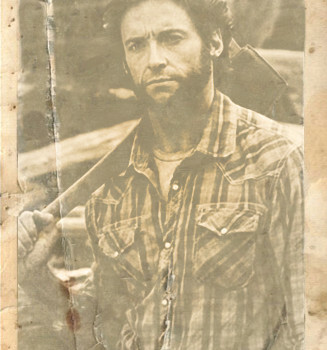 Logan later changed his operative name to ‘Wolverine’, and worked with various NGOs.